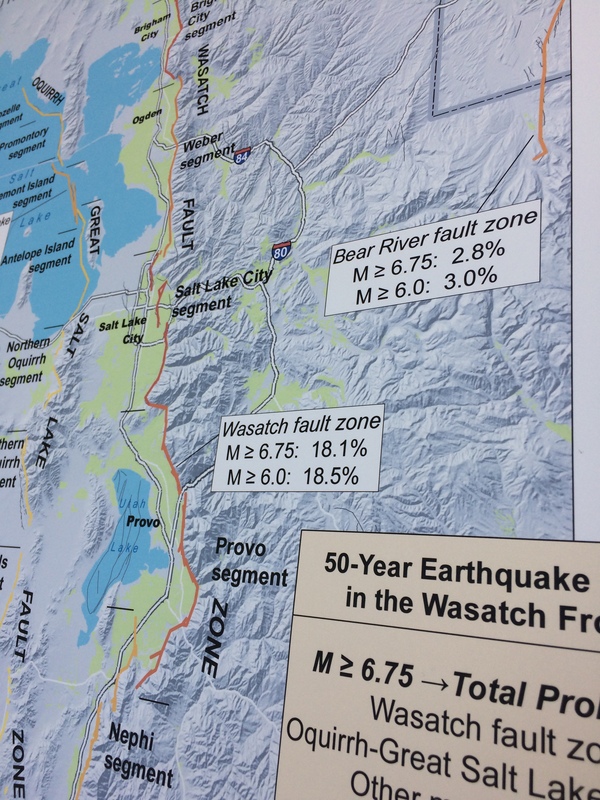 Utah is earthquake country. Earthquakes can strike at any time without warning causing major damage to homes and critical infrastructures. They are almost always followed by aftershocks that can be even larger than the initial quake. 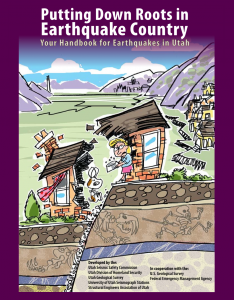 There are things you can do to prepare your home and your family for an earthquake. Many of these things will help prepare you for other emergencies and disasters too. 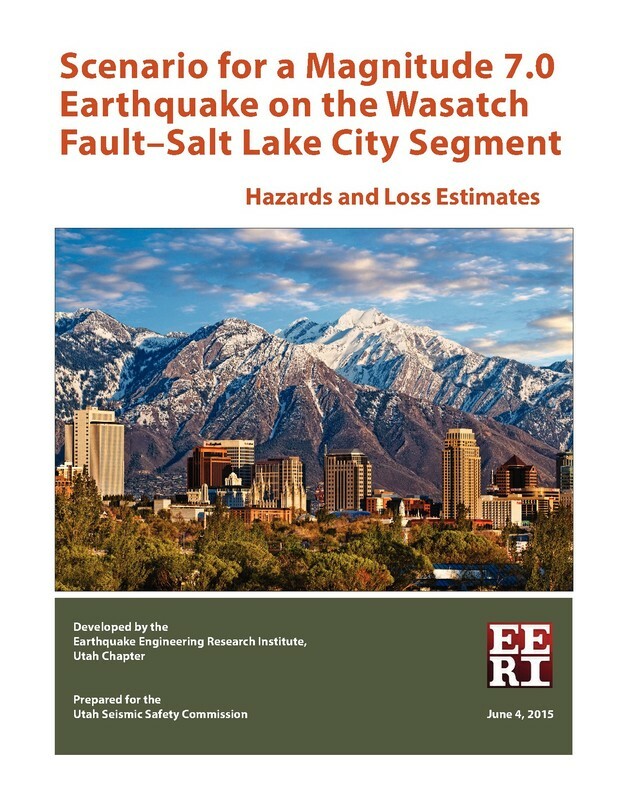 The Utah Division of Emergency Management Earthquake Program promotes seismic safety statewide and prepares Utahns for earthquakes through community outreach programs, publications and presentations. 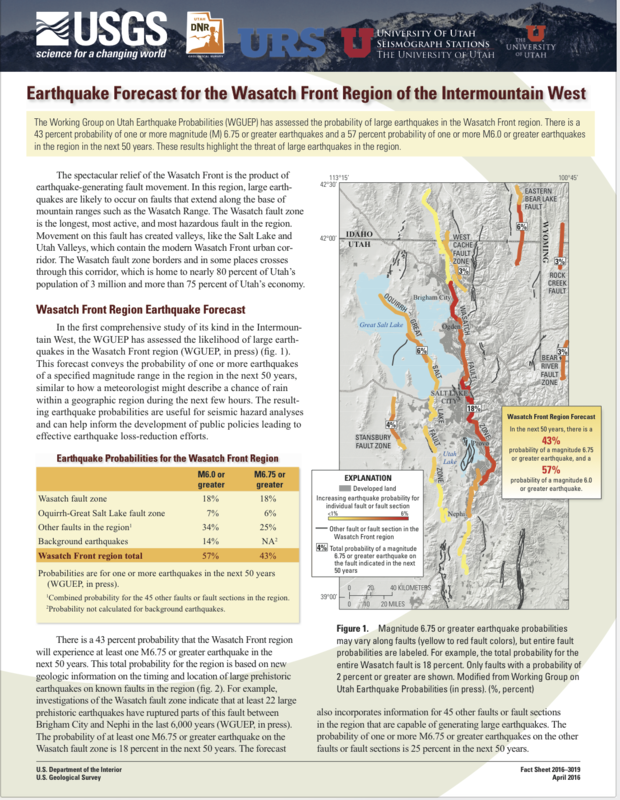 The Earthquake Program works to implement broad-based yet specific proposals regarding preparedness and mitigation. It also acts as a resource to state and local agencies, school, businesses etc. involved in earthquake preparedness. State and local governments are responsible for protecting lives and property and therefore play a primary role in earthquake hazard reduction. To reduce the effects of earthquakes on communities, an effective earthquake hazard reduction program must be developed. This is done by developing, implementing and promoting earthquake hazard reduction measures including vulnerability assessments, preparedness and response planning, mitigation, public awareness and education. Earthquakes shake humans and their environment. Injuries and loss of life from earthquakes are directly related to building damage and collapse, and the seismic performance of lifeline systems. The Earthquake Program monitors state and local programs that promote life safety activities and seismic structural enhancement. Communities and local businesses are incorporating earthquake preparedness as part of their daily life and a part of employee training. The program provides a non-structural walk-through to business and local communities to reduce potential losses due to an earthquake. 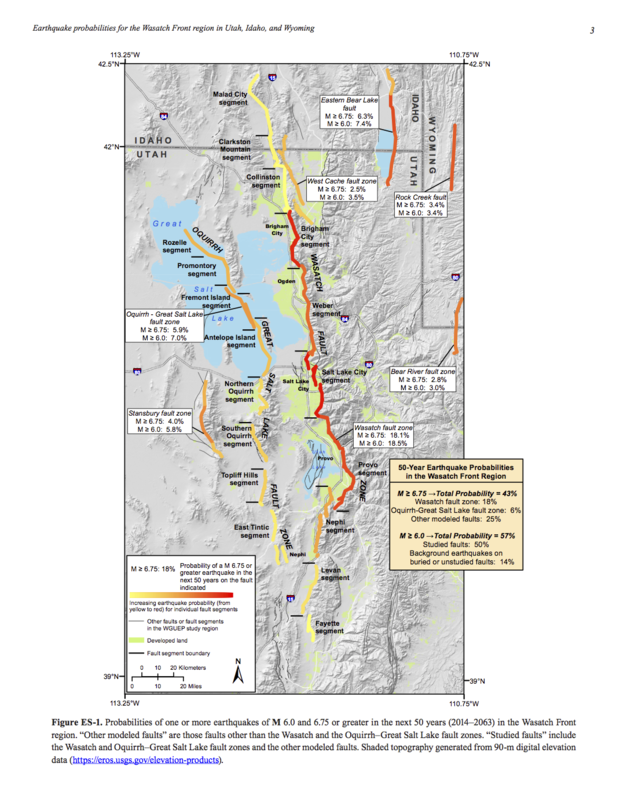 To see a liquification map for Salt Lake, Utah, or Davis County, just click on one of the icons to the below! For more information call (801) 538-3400 or FAX us at (801) 538-3770 or E-Mail us. 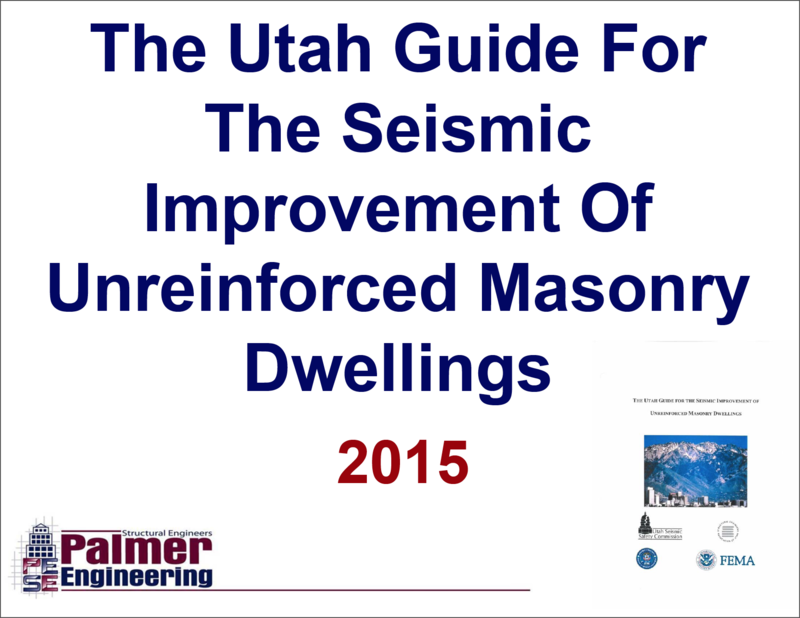 For more information please contact Bob Carey, Earthquake Program Manager, at (801) 538-3784 or bcarey@utah.gov. For more information about earthquakes in general, click on a link below.